WITH AN INTRODUCTION BY KATE MOSSEWrongfully arrested following the Monmouth rebellion of 1685, Peter Blood, country physician and former soldier, escapes the hangmans noose only to be exiled to the tropical colonies. Sold into slavery to a cruel plantation owner, his moral fortitude and medical ability soon earn him the favour of the islands governor, and the attentions of Arabella, his masters niece. 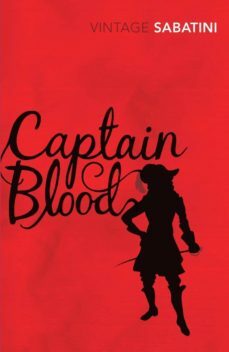 When the town is attacked by marauding Spanish buccaneers, Blood springs to the rescue, and with a motley yet loyal band of shipmates escapes to begin a life of noble piracy and adventure on the caribbean seas.A classic swashbuckling tale of piracy, romance and redemption, Captain Blood stands as one the greatest adventure novels of the 20th century.